Not to be confused with John Cale. John Milton Cage Jr. (September 5, 1912 – August 12, 1992) was an American composer, music theorist, writer, and artist. A pioneer of indeterminacy in music, electroacoustic music, and non-standard use of musical instruments, Cage was one of the leading figures of the post-war avant-garde. Critics have lauded him as one of the most influential American composers of the 20th century. He was also instrumental in the development of modern dance, mostly through his association with choreographer Merce Cunningham, who was also Cage's romantic partner for most of their lives. Cage is perhaps best known for his 1952 composition 4′33″, which is performed in the absence of deliberate sound; musicians who present the work do nothing aside from being present for the duration specified by the title. The content of the composition is not "four minutes and 33 seconds of silence," as is sometimes assumed, but rather the sounds of the environment heard by the audience during performance. The work's challenge to assumed definitions about musicianship and musical experience made it a popular and controversial topic both in musicology and the broader aesthetics of art and performance. Cage was also a pioneer of the prepared piano (a piano with its sound altered by objects placed between or on its strings or hammers), for which he wrote numerous dance-related works and a few concert pieces. The best known of these is Sonatas and Interludes (1946–48). Cage was born September 5, 1912, at Colony of Virginia. Cage described his mother as a woman with "a sense of society" who was "never happy", while his father is perhaps best characterized by his inventions: sometimes idealistic, such as a diesel-fueled submarine that gave off exhaust bubbles, the senior Cage being uninterested in an undetectable submarine; others revolutionary and against the scientific norms, such as the "electrostatic field theory" of the universe. [n 1] John Milton Sr. taught his son that "if someone says 'can't' that shows you what to do." In 1944–45 Cage wrote two small character pieces dedicated to his parents: Crete and Dad. The latter is a short lively piece that ends abruptly, while "Crete" is a slightly longer, mostly melodic contrapuntal work. Cage's first experiences with music were from private piano teachers in the Greater Los Angeles area and several relatives, particularly his aunt Phoebe Harvey James who introduced him to the piano music of the 19th century. He received first piano lessons when he was in the fourth grade at school, but although he liked music, he expressed more interest in sight reading than in developing virtuoso piano technique, and apparently was not thinking of composition. During high school, one of his music teachers was Fannie Charles Dillon. By 1928, though, Cage was convinced that he wanted to be a writer. He graduated that year from Los Angeles High School as a valedictorian, having also in the spring given a prize-winning speech at the Hollywood Bowl proposing a day of quiet for all Americans. "By being hushed and silent, he said, 'we should have the opportunity to hear what other people think'," anticipating 4'33" by more than thirty years. Cage persuaded his parents that a trip to Europe would be more beneficial to a future writer than college studies. He subsequently hitchhiked to Galveston and sailed to Le Havre, where he took a train to Paris. Cage stayed in Europe for some 18 months, trying his hand at various forms of art. First he studied Gothic and Greek architecture, but decided he was not interested enough in architecture to dedicate his life to it. He then took up painting, poetry and music. It was in Europe that, encouraged by his teacher Lazare Levy, he first heard the music of contemporary composers (such as Igor Stravinsky and Paul Hindemith) and finally got to know the music of Johann Sebastian Bach, which he had not experienced before. After I had been studying with him for two years, Schoenberg said, "In order to write music, you must have a feeling for harmony." I explained to him that I had no feeling for harmony. He then said that I would always encounter an obstacle, that it would be as though I came to a wall through which I could not pass. I said, 'In that case I will devote my life to beating my head against that wall.' "
Cage studied with Schoenberg for two years, but although he admired his teacher, he decided to leave after Schoenberg told the assembled students that he was trying to make it impossible for them to write music. Much later, Cage recounted the incident: "[...] When he said that, I revolted, not against him, but against what he had said. I determined then and there, more than ever before, to write music." Although Schoenberg was not impressed with Cage's compositional abilities during these two years, in a later interview, where he initially said that none of his American pupils were interesting, he further stated in reference to Cage: "There was one...of course he's not a composer, but he's an inventor—of genius." Schoenberg had intended this not as a compliment but as means to differentiate, disparagingly, between composers and inventors. Cage would later adopt the "inventor" moniker and deny that he was in fact a composer. In 1938, with help from a fellow Cowell student prepared piano—a piano which has had its sound altered by objects placed on, beneath or between the strings—in 1940. This concept was originally intended for a performance staged in a room too small to include a full percussion ensemble. It was also at the Cornish School that Cage met a number of people who became lifelong friends, such as painter Mark Tobey and dancer Merce Cunningham. The latter was to become Cage's lifelong partner and collaborator. Cage left Seattle in the summer of 1941 after the painter Columbia Broadcasting System to compose a soundtrack for a radio play by Kenneth Patchen. The result, The City Wears a Slouch Hat, was received well, and Cage deduced that more important commissions would follow. Hoping to find these, he left Chicago for New York City in the spring of 1942. In New York, the Cages first stayed with painter Museum of Modern Art, Guggenheim withdrew all support, and, even after the ultimately successful MoMA concert, Cage was left homeless, unemployed and penniless. The commissions he hoped for did not happen. He and Xenia spent the summer of 1942 with dancer Jean Erdman and her husband. Without the percussion instruments, Cage again turned to prepared piano, producing a substantial body of works for performances by various choreographers, including Merce Cunningham, who moved to New York City several years earlier. Cage and Cunningham eventually became romantically involved, and Cage's marriage, already breaking up during the early 1940s, ended in divorce in 1945. Cunningham remained Cage's partner for the rest of his life. Cage also countered the lack of percussion instruments by writing, on one occasion, for voice and closed piano: the resulting piece, The Wonderful Widow of Eighteen Springs (1942), quickly became popular and was performed by the celebrated duo of Cathy Berberian and Luciano Berio. Early in 1946, his former teacher Richard Buhlig arranged for Cage to meet Berlin-born pianist Grete Sultan, who had escaped from Nazi persecution to New York in 1941. They became close, lifelong friends, and Cage later dedicated part of his Music for Piano (Cage) and his monumental piano cycle Etudes Australes to her. Sonatas and Interludes were received well by the public. After a 1949 performance at Carnegie Hall, New York, Cage received a grant from the Guggenheim Foundation, which enabled him to make a trip to Europe, where he met composers such as Olivier Messiaen and Pierre Boulez. More important was Cage's chance encounter with Morton Feldman in New York City in early 1950. Both composers attended a New York Philharmonic Orchestra concert, where the orchestra performed Anton Webern's Symphony, op. 21, followed by a piece by Sergei Rachmaninoff. Cage felt so overwhelmed by Webern's piece that he left before the Rachmaninoff; and in the lobby, he met Feldman, who was leaving for the same reason. The two composers quickly became friends; some time later Cage, Feldman, Earle Brown, David Tudor and Cage's pupil Christian Wolff came to be referred to as "the New York school." When I hear what we call music, it seems to me that someone is talking. And talking about his feelings, or about his ideas of relationships. But when I hear traffic, the sound of traffic—here on Sixth Avenue, for instance—I don't have the feeling that anyone is talking. I have the feeling that sound is acting. And I love the activity of sound [...] I don't need sound to talk to me. Although Cage had used chance on a few earlier occasions, most notably in the third movement of Concerto for Prepared Piano and Chamber Orchestra (1950–51), the I Ching opened new possibilities in this field for him. The first results of the new approach were Imaginary Landscape No. 4 for 12 radio receivers, and Music of Changes for piano. The latter work was written for David Tudor, whom Cage met through Feldman—another friendship that lasted until Cage's death. [n 3] Tudor premiered most of Cage's works until the early 1960s, when he stopped performing on the piano and concentrated on electronic music. The I Ching became Cage's standard tool for composition: he used it in practically every work composed after 1951. Despite the fame Sonatas and Interludes earned him, and the connections he cultivated with American and European composers and musicians, Cage was quite poor. Although he still had an apartment, at 326 Monroe Street (which he occupied since around 1946) his financial situation in 1951 worsened so much that, while working on Music of Changes, he prepared a set of instructions for Tudor as to how to complete the piece in the event of his death. Nevertheless, Cage managed to survive and maintained an active artistic life, giving lectures, performances, etc. In 1952–53 he completed another mammoth project—the Williams Mix, a piece of tape music, which Earle Brown helped to put together. Also in 1952, Cage composed the piece that became his best-known and most controversial creation: 4′33″. The score instructs the performer not to play the instrument during the entire duration of the piece—four minutes, thirty-three seconds—and is meant to be perceived as consisting of the sounds of the environment that the listeners hear while it is performed. Cage conceived "a silent piece" years earlier, but was reluctant to write it down; and indeed, the premiere (given by Tudor on August 29, 1952 at Woodstock, New York) caused an uproar in the audience. The reaction to 4′33″ was just a part of the larger picture: on the whole, it was the adoption of chance procedures that had disastrous consequences for Cage's reputation. The press, which used to react favorably to earlier percussion and prepared piano music, ignored his new works, and many valuable friendships and connections were lost. Pierre Boulez, who used to promote Cage's work in Europe, was opposed to Cage's use of chance, and so were other composers who came to prominence during the 1950s, e.g. Karlheinz Stockhausen and Iannis Xenakis. During this time John Cage was also teaching at the avant-garde Theatre Piece No. 1, a multi-layered, multi-media performance event staged the same day as Cage conceived it that "that would greatly influence 1950s and 60s artistic practices." The many participants included besides Cage, Cunningham and Tudor. From 1953 onward, Cage was busy composing music for modern dance, particularly Cunningham's dances (Cage's partner adopted chance too, out of fascination for the movement of the human body), as well as developing new methods of using chance, in a series of works he referred to as The Ten Thousand Things. In Summer 1954 he moved out of New York and settled in a cooperative community in Stony Point, New York, where his neighbors included David Tudor, M. C. Richards, Karen Karnes, Stan VanDerBeek, and Sari Dienes. The composer's financial situation gradually improved: in late 1954 he and Tudor were able to embark on a European tour. From 1956 to 1961 Cage taught classes in experimental composition at The New School, and during 1956–58 he also worked as an art director and designer of typography. Among the works completed during the last years of the decade were Concert for Piano and Orchestra (1957–58), a seminal work in the history of graphic notation, and Variations I (1958). Edition Peters soon published a large number of scores by Cage, and this, together with the publication of Silence, led to much higher prominence for the composer than ever before—one of the positive consequences of this was that in 1965 Betty Freeman set up an annual grant for living expenses for Cage, to be issued from 1965 to his death. By the mid-1960s, Cage was receiving so many commissions and requests for appearances that he was unable to fulfill them. This was accompanied by a busy touring schedule; subsequently Cage's compositional output from that decade was scant. After the orchestral Atlas Eclipticalis (1961–62), a work based on star charts, which was fully notated, Cage gradually shifted to, in his own words, "music (not composition)." The score of 0′00″, completed in 1962, originally comprised a single sentence: "In a situation provided with maximum amplification, perform a disciplined action", and in the first performance the disciplined action was Cage writing that sentence. The score of Variations III (1962) abounds in instructions to the performers, but makes no references to music, musical instruments or sounds. Many of the Variations and other 1960s pieces were in fact "Antonin Artaud's seminal treatise The Theatre and Its Double, and the happenings of this period can be viewed as a forerunner to the ensuing Fluxus movement. In October 1960, Mary Bauermeister's Cologne studio hosted a joint concert by Cage and the video artist Nam June Paik, who in the course of his Etude for Piano cut off Cage's tie and then washed his co-performer’s hair with shampoo. Already in the course of the eighties, Cage's health worsened progressively: he suffered not only from arthritis, but also from sciatica and arteriosclerosis. He suffered a stroke that left the movement of his left leg restricted, and, in 1985, broke an arm. During this time, Cage pursued a macrobiotic diet. Nevertheless, ever since arthritis started plaguing him, the composer was aware of his age, and, as biographer David Revill observed, "the fire which he began to incorporate in his visual work in 1985 is not only the fire he has set aside for so long—the fire of passion—but also fire as transitoriness and fragility." On August 11, 1992, while preparing evening tea for himself and Cunningham, Cage suffered another stroke. He was taken to the nearest hospital, where he died on the morning of August 12. According to his wishes, Cage's body was cremated, and the ashes scattered in the Walter Zimmermann and the musicologist Stefan Schaedler was due to take place. The event went ahead as planned, including a performance of the Concert for Piano and Orchestra by David Tudor and Ensemble Modern. Merce Cunningham lived another 17 years, dying of natural causes in July 2009. Another series of works applied chance procedures to per-existing music by other composers: Cheap Imitation (1969; based on Erik Satie), Some of "The Harmony of Maine" (1978; based on Belcher), and Hymns and Variations (1979). In these works, Cage would borrow the rhythmic structure of the originals and fill it with pitches determined through chance procedures, or just replace some of the originals' pitches. Yet another series of works, the so-called Number Pieces, all completed during the last five years of the composer's life, make use of time brackets: the score consists of short fragments with indications of when to start and to end them (e.g. from anywhere between 1′15″ and 1′45″, and to anywhere from 2′00″ to 2′30″). Finally, some of Cage's works, particularly those completed during the 1960s, feature instructions to the performer, rather than fully notated music. The score of Variations I (1958) presents the performer with six transparent squares, one with points of various sizes, five with five intersecting lines. The performer combines the squares and uses lines and points as a coordinate system, in which the lines are axes of various characteristics of the sounds, such as lowest frequency, simplest overtone structure, etc. Some of Cage's graphic scores (e.g. Concert for Piano and Orchestra, Fontana Mix (both 1958)) present the performer with similar difficulties. Still other works from the same period consist just of text instructions. The score of 0'00" (1962; also known as 4'33" No. 2) consists of a single sentence: "In a situation provided with maximum amplification, perform a disciplined action." The first performance had Cage write that sentence. Cage was also an avid amateur mycologist: he co-founded the New York Mycological Society with four friends, and his mycology collection is presently housed by the Special Collections department of the McHenry Library at the University of California, Santa Cruz. Cage's pre-chance works, particularly pieces from the late 1940s such as Sonatas and Interludes, earned critical acclaim: the Sonatas were performed at Carnegie Hall in 1949. Cage's adoption of chance operations in 1951 cost him a number of friendships and led to numerous criticisms from fellow composers. Adherents of serialism such as Pierre Boulez and Karlheinz Stockhausen dismissed indeterminate music; Boulez, who was once on friendly terms with Cage, criticized him for "adoption of a philosophy tinged with Orientalism that masks a basic weakness in compositional technique." Prominent critics of serialism, such as the Greek composer Iannis Xenakis, were similarly hostile towards Cage: for Xenakis, the adoption of chance in music was "an abuse of language and [...] an abrogation of a composer's function." While much of Cage's work remains controversial, his influence on countless composers, artists, and writers is notable. 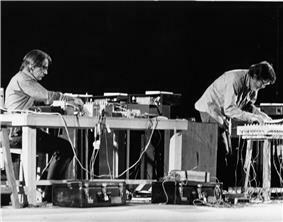 After Cage introduced chance, Boulez, Stockhausen, and Xenakis remained critical, yet all adopted chance procedures in some of their works (although in a much more restricted manner); and Stockhausen's piano writing in his later Klavierstücke was influenced by Cage's Music of Changes and David Tudor. Other composers who adopted chance procedures in their works included Witold Lutosławski, Mauricio Kagel, and many others. Music in which some of the composition and/or performance is left to chance was labelled aleatoric music—a term popularized by Pierre Boulez. Helmut Lachenmann's work was influenced by Cage's work with extended techniques. Cage's influence was also acknowledged by rock acts such as Sonic Youth (who performed some of the Number Pieces) and Stereolab (who named a song after Cage), composer and rock and jazz guitarist Frank Zappa, and various noise music artists and bands: indeed, one writer traced the origin of noise music to 4′33″. The development of electronic music was also influenced by Cage: in the mid-1970s Brian Eno's label Obscure Records released works by Cage. Prepared piano, which Cage popularized, is featured heavily on Aphex Twin's 2001 album Drukqs. Cage's work as musicologist helped popularize Erik Satie's music, and his friendship with Abstract expressionist artists such as Robert Rauschenberg helped introduce his ideas into visual art. Cage's ideas also found their way into sound design: for example, Academy Award-winning sound designer Gary Rydstrom cited Cage's work as a major influence. Radiohead undertook a composing and performing collaboration with Cunningham's dance troupe in 2003 because the music-group's leader Thom Yorke considered Cage one of his “all-time art heroes”. In 2012, amongst a wide range of American and international centennial celebrations, an 8-day festival was held in Washington DC, with venues found notably more amongst the city's art museums and universities than performance spaces. Earlier in the centennial year, conductor Michael Tilson Thomas presented Cage’s “Song Books” with the San Francisco Symphony at Carnegie Hall in New York. Another celebration came, for instance, in Darmstadt, Germany, which in July 2012 renamed its central station the John Cage Railway Station during the term of its annual new-music courses. Jacaranda has four concerts planned in Santa Monica, CA for the centennial week. 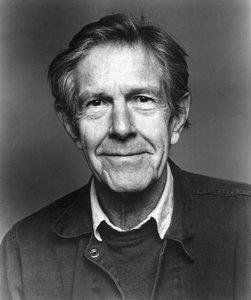 John Cage Day was the name given to several events held during 2012 to mark the centenary of his birth. A 2012 project was curated by Juraj Kojs to celebrate the centenary of Cage's birth, titled On Silence: Homage to Cage. It consisted of 13 commissioned works created by composers from around the global such as Kasia Glowicka, Adrian Knight and Henry Vega, each being 4 minutes and 33 seconds long in honor of Cage’s infamous 1952 opus, 4'33". The program was supported by the Foundation for Emerging Technologies and Arts, Laura Kuhn and the John Cage Trust. In an homage to Cage's dance work, the Bill T. Jones/Arnie Zane Dance Company in July 2012 "performed an engrossing piece called 'Story/Time'. It was modeled on Cage’s 1958 work 'Indeterminacy', in which [Cage and then Jones, respectively,] sat alone onstage, reading aloud ... series of one-minute stories [they]’d written. Dancers from Jones’s company performed as [Jones] read." Michael Bach, Boris Berman, Leonard Bernstein, Sven Birch, Stephen Drury, Armin Fuchs, Louis Goldestein, Herbert Henck, Evi Kyriazidou, Cosimo Damiano Lanza, Alexeï Lubimov, Bobby Mitchell, Joshua Pierce, Giancarlo Simonacci, Margaret Leng Tan, Adam Tendler, John Tilbury, Roger Zahab. The Organ²/ASLSP (aka As Slow as Possible) project, the longest concert ever created. ^ a b "John Cage, 79, a Minimalist Enchanted With Sound, Dies". New York Times. August 13, 1992. Retrieved July 21, 2007. John Cage, the prolific and influential composer whose Minimalist works have long been a driving force in the world of music, dance and art, died yesterday at St. Vincent's Hospital in Manhattan. He was 79 years old and lived in Manhattan. ^ Leonard, George J. (1995). Into the Light of Things: The Art of the Commonplace from Wordsworth to John Cage. University of Chicago Press. p. 120 ("...when Harvard University Press called him, in a 1990 book advertisement, "without a doubt the most influential composer of the last half-century," amazingly, that was too modest."). ^ Greene, David Mason (2007). Greene's Biographical Encyclopedia of Composers. Reproducing Piano Roll Fnd. p. 1407 ("[...] John Cage is probably the most influential ... of all American composers to date."). ^ a b Cage, John (1991). "An Autobiographical Statement". Southwest Review. Retrieved March 14, 2007. ^ John Cage, National Inter-Collegiate Arts Conference, Vassar College, Poughkeepsie (N. Y), Feb. 28, 1948. ^ a b c d e f g h i Pritchett and Kuhn, Grove Onine. ^ a b Broyles M. (2004).Mavericks and Other Traditions in American Music, Yale University Press, New Haven & London, (p. 177). ^ Welch, J.D. (20028). "The Other Fab Four: Collaboration and Neo-dada: a plan for an exhibition weblog". Retrieved May 31, 2014. Pp. 5-8. Welch states that Cage himself disagreed with this assessment and contrasted his own "purposeless, anarchic situation" with the "sense of poetry," with intentions, that informed Kaprow'shappenings. The "other Fab Four are Rauschenberg, Cage, Johns, and Cunningham. ^ "Guide to the Center for Advanced Studies Records, 1958 – 1969". Wesleyan University. Retrieved September 4, 2010. ^ "The Many Views of Betty Freeman: Betty Freeman's Commissions". NewMusicBox. 2000. Retrieved August 8, 2009. ^ Potter, Keith. "Skempton, Howard", Grove Music Online, ed. L. Macy (accessed March 12 2006), grovemusic.com (subscription access). ^ Lopez, Antonio (December 1999 – January 2000). "Sonic Youth's Thurston Moore: On punk music, staying fresh, and the strange bridge between art and rock". Thirsty Ear Magazine. Retrieved August 26, 2010. ^ Morris, Chris (August 17, 1997). "Hold The Ketchup On That Stereolab". Yahoo! Music. Retrieved August 26, 2010. ^ Lowe, Kelly Fisher (2006). The Words and Music of Frank Zappa. Praeger Publishers. p. 57. ^ Jack, Adrian (1975). I Want to be a Magnet for Tapes" (interview with Brian Eno)""". Time Out. Retrieved August 26, 2010. ^ Orledge, Robert (1990). Satie the Composer. Cambridge University Press. p. 259. ^ Shlomowitz, Matthew. 1999. Cage's Place In the Reception of Satie. Part of the PhD at the University of California at San Diego, USA. Available online. ^ LoBrutto, Vincent (1994). Sound-on-Film: Interviews With Creators of Film Sound. Greenwood Publishing Group. pp. 241–42. ^ Midgette, Anne, "John Cage Centennial Festival: Will it silence critics in Washington? ", Washington Post, August 31, 2012. Retrieved 2012-09-02. ^ "Cage 100 Festival", Jacaranda webpage. Retrieved 2012-09-05. ^ Kojs, Juraj. 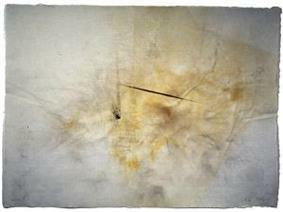 "On Silence: Hommage to Cage". http://kojs.net. Retrieved 8 January 2013. James Pritchett: Writings, articles on Cage's music in HTML and PDF form by Cage scholar James Pritchett. Ross, Alex, "Searching for Silence: John Cage’s art of noise", The New Yorker, October 4, 2010. 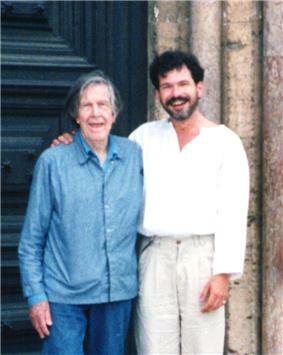 Previously unpublished interview with John Cage by Charles Hayes in March-April 2014 issue of Ragazine.CC. Gligo, Nikša: Was für ein Werk stellt "A Collection of Rocks" von John Cage dar? Ein Beitrag zur Werkdetermination in der experimentellen Musik, in: Otto Kolleritsch (ed. ), "Entgrenzungen in der Musik" (= Studien zur Wertungsforschung, Nr. 18. ), Wien - Graz: Universal Edition, 1989, pp. 83–103. Kasper, Ulrike. "Sounds Visions, The Work of Jacques Pourcher, Perspectives on John Cage", essay on the exhibition "John Cage and Jacques Pourcher, Works on Paper", Virginia Tech, Blacksburg, USA. 'Silence and Change / Five Hanau Silence': Articles and documents on a project of John Cage, Claus Sterneck and Wolfgang Sterneck in benefit of a squated culture center in Hanau (Germany) in 1991, (English / German). Water Walk on YouTube from Cage's appearance on the game show I've Got a Secret in January 1960. The Rest isn't Silence... it doesn't exist! – Analytical material and recordings going back to the first rehearsal and performance of Imaginary Landscape No 4 in 1951. John Cage – Journeys in Sound – Documentary, Germany, 2012, 60 Min., Director: Allan Miller & Paul Smaczny, Written by Anne-Kathrin Peitz. Production: Accentus Music in co-production with WDR. „Czech Crystal Award“ (Best Documentary) at Golden Prague Festival 2012.